Its obviously been spotted by the hard cores. What I dont understand is it doesnt appear to be a numbers match console and box. And as has been noted here,the console is probably crapola. I'm saying $2k. I'm 99% certain it won't be under $1k. I think now that it is over $900, it will plateau somewhat until close to auction close time then snipers will jack it up to $1500 final. Anyone want to trek over to Connecticut this summer for a week of garage sale huntings? We could knock on doors. "Uhh, hullo. You dont know me but you got any purple boxes in the garage?" Thanks Ax, for making my eyes bleed. Yep, this auction is like everything else in life. Hope whoever has their hooks in this thing isn't just screwing around. I probably shouldn't be saying this but, from what I see on the box in that ebay picture, it wouldn't be that hard to mock-up a very close replica (image wise). I would just need good (i.e. 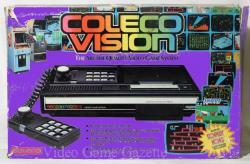 high res) scans of a standard ColecoVision box (The cleaner the box the better). From what I see they look pretty close. Unfortunately, I don't know how different the sides and back of the purple box is from the standard. I guess I would need a couple scans of the controllers with the rollers in them too. For some reason I thought I had some but I can't find them. 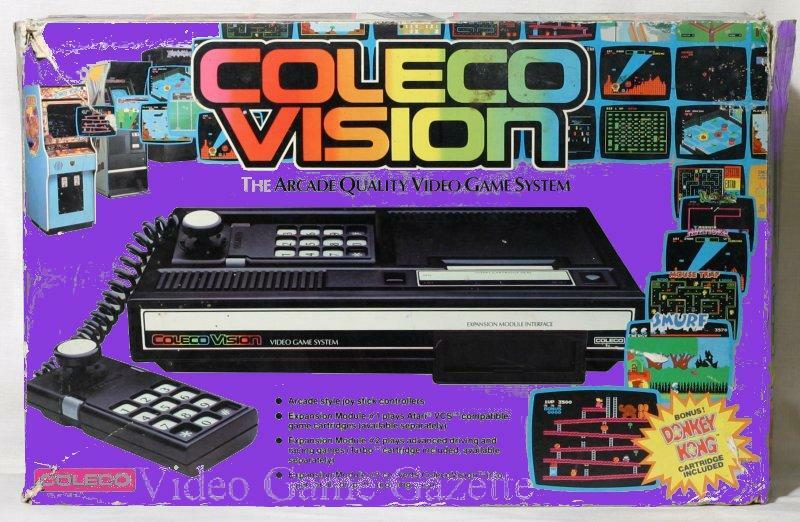 Yes, but I don't need scans of the purple box, just the standard gray ColecoVision box. I could fudge the rest. BTW, thanks for the pic of the controller. Edited by pboland, Tue Mar 1, 2011 4:57 PM. Tough crowd. Maybe I should offer banners of my hot 80's chicks. Here's what I, an amateur, was able to do. I didn't want to spend too much time with it. A pro should be able to change the black lettering to white which I didn't want to spend time perfecting. Also, the text below the unit and Donkey Kong in lower right would have to be modified. Maybe Brian O could download what I started and see what finishing touches he can put on it? Edited by rmaerz, Tue Mar 1, 2011 7:41 PM. Atleast a 300 ppi scan would be needed to get good results 600 ppi would be better. I doubt it hits a $1000. I mean after all it's only a cool box. May be the only significant difference is that it is Purple instead of gray. Edited by rmaerz, Tue Mar 1, 2011 9:30 PM. Well I suppose they had to be real... I just never expected to see a photo of one. Is that your controller J-F? That is so suweet. 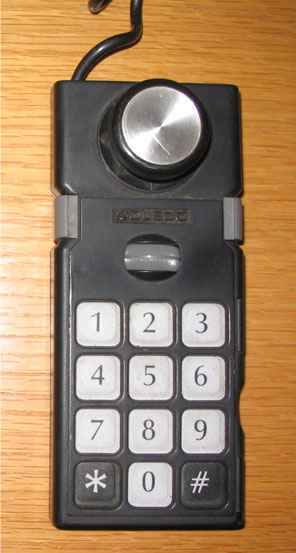 Here's some more pics of the proto hand controller with speed roller... thanks to ColecoVision Zone/Junior for making these available. Really have to spend some time on his website and follow all the links as there is a lot of great stuff on there!! Someone in Derby, CT is going to be verrrrry happy tomorrow. Someone else will also be happy. Perhaps Prince? $1000 buys allot of purple snapple.